Presented in a premium glossy white interior, this AKDY BT0073 bathtub is both eye catching and unique. Sloping curves on each end of the bathtub provide a contemporary look and feel that will make it the centerpiece of your bathroom. 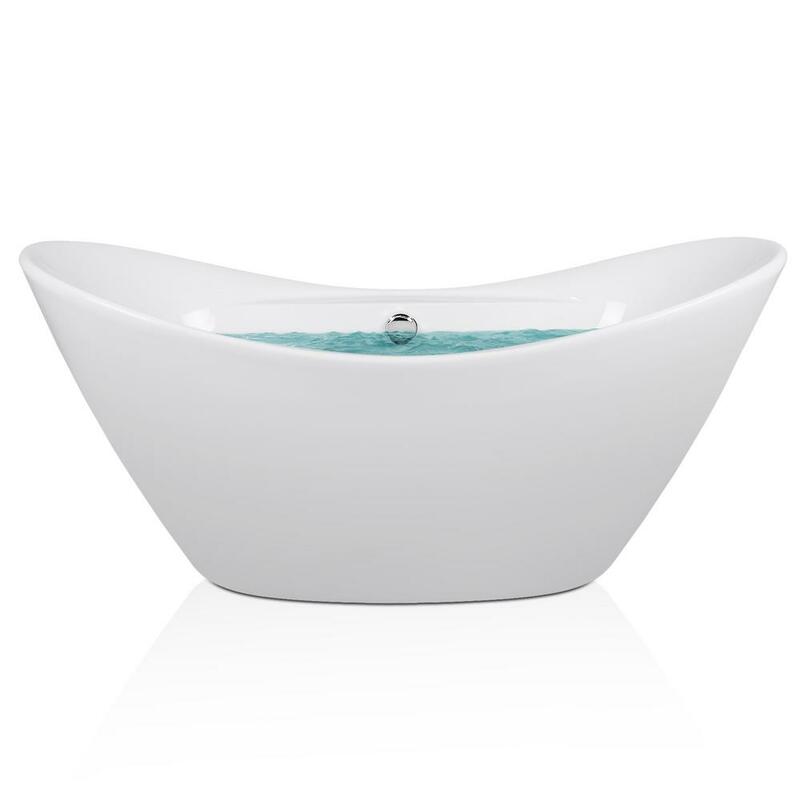 A durable fiberglass main structure keeps the tub rigid. A matching chrome overflow and drain allow for easy water draining. Six adjustable legs hidden underneath allow the tub to be leveled on uneven flooring for a perfect fit and finish. A flexible tube drain allows for easy installation to your existing plumbing. This bathtub has a 65 gal. capacity. Externally, it measures 67 in. L x 30.31 in. W x 29.5 in. H. Pair with our matching AKDY tub fillers for the most relaxing bath.